The origins of the Fukushahado begin with Indian scientist Rakshata Chawla. Her specialties include medical cybernetics, and she is the director of the Black Knight’s R&D team. Her past is shrouded in mystery as she usually doesn’t speak of it. But from what we do know, she was a student at Imperial Colchester Insitute where she met Lloyd Asplund and Cecil Croomy. She refers to her creations as her children, and treats them with all the respect a child deserves. She is the creator of the Guren MK-II and its infamous weapon the Fukushahado, radiation surge. 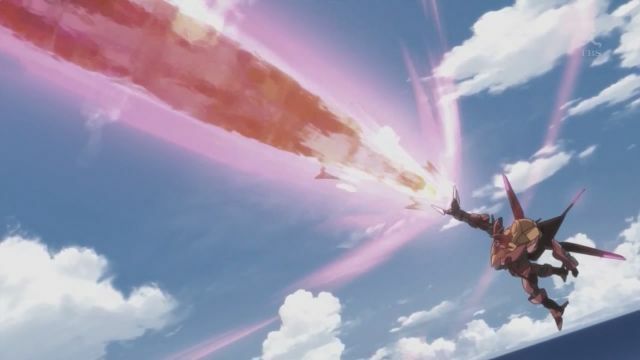 The Fukushahado is the Guren MK-II’s main weapon. Using the Fukushahado, one can grab onto an enemy, activate the Fukushahado and disable all electronics within the enemy’s Knightmare. Also, the radiation emitted fuses the pilot seat disabling ejection, and will cause an explosion after a brief moment. The Fukushahado is not only an offense weapon, but a defensive one as well. While it wasn’t designed to be a shield, the radiation surge can block almost any attack fired at it.